Qualifying for high school provincials, no team had qualified in 8 years before us! From helping with the most basic living expenses to assisting in covering the cost of the most sport specific equipment, the CAN Fund has allowed me to spend less time working and more time working out! 15th Junior World Cup (2005) Santiago, Chile. Was diagnosed with Type 1 Diabetes at the age of 12. I am currently studying at UBC to be a high school/physical education teacher. 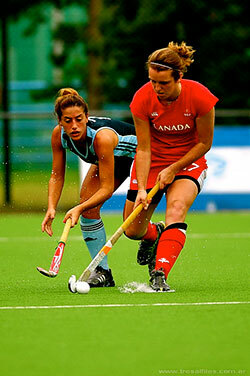 I played 6 sports in high school (field hockey, basketball, soccer, badminton, track & field, and volleyball) before deciding to focus on field hockey.